Toronto Blue Jays great Joe Carter believes that Carlos Delgado deserved more support in the National Baseball Hall of Fame voting. • One of the funniest photos making its rounds on social media this week was of Roy Halladay standing behind and pointing to an oblivious fan who was wearing a Halladay shirt. Halladay shared the photo on Twitter along with the message, “Oopps you missed me! Walked right by me! Hope he gets to see his pic with me on Twitter, he doesn’t know we took this.” For a similarly hilarious photo, check out the background photo on Mark Teahen’s Twitter page. In the photo, the ex-big leaguer, who owns a Canadian citizenship, is standing behind a man seated at a picnic table who’s wearing a Kansas City Royals Teahen shirt. Sadly, the fan doesn’t seem to realize that Teahen’s last name is spelled wrong. • I’m excited to read Brian “Chip” Martin’s newly released book, “The Tecumsehs of the International Association, Canada’s First Major League Champions.” The book chronicles the history of the triumphant, yet little-talked-about London Tecumsehs in the 1870s. This is a follow-up to Martin’s 2013 tome “Baseball’s Creation Myth: Adam Ford, Abner Graves and the Cooperstown Story” which is one of the best Canadian baseball books ever written. You can read my review of that book here. You can purchase a copy of his new book here. • Navan, Ont., native Erik Bedard hopes to pitch in the big leagues in 2015. The unsigned Canadian lefty, who posted a 4-6 record and a 4.76 ERA in 17 games with the Tampa Bay Rays in 2014, will turn 36 on March 5. He tells the Ottawa Sun’s Tim Baines that he believes he can still contribute at the big league level as a pitcher and mentor. Bedard tells Baines that he’d like to pitch for the Blue Jays, but there haven’t been any reports linking Bedard to the Canadian club. The Blue Jays have already signed southpaws Jeff Francis (North Delta, B.C.) and Andrew Albers (North Battleford, Sask.) to minor league deals this off-season. • I’ve been running a “Baseball Quote of the Day” feature on the Cooperstowners in Canada Facebook page. Today’s quote was from Rickey Henderson, who’s always a goldmine for quotes because he talks about himself in the third person. After Ken Caminiti suggested that 50 per cent of major league players were using steroids in a September 2002 Sports Illustrated article, a reporter approached Henderson, then with the Boston Red Sox, and asked him about Caminiti’s claim. “Well, Rickey’s not one of them, so that’s 49 per cent right there,” Henderson responded. • This week’s trivia question: Canadian left-handers Jeff Francis (North Delta, B.C.) and Andrew Albers (North Battleford, Sask.) will both likely have a chance to pitch for the Blue Jays at some point this season. But can you name the four previous Canadian left-handers to have pitched for the Blue Jays? Please provide your answer in the “Comments” section below. The first person to provide the correct answer will win four Rickey Henderson baseball cards (1985 Donruss Leaf, 1987 Donruss Opening Day, 1990 Fleer and 1991 Upper Deck). I’m really enjoying the quote of the day Kevin. Thanks, Brent. Thanks for your support of the blog. You gotta look around…never know who will be right behind you! So glad Alomar is pushing for Walker. Now that Cooperstown is down to 10 years of voting (from 15 years), it will be very hard for Walker to get 75%. Can’t wait to read Chip’s new book! Hi Kevin: Always a pleasant part of my day, reading your insights. Hey, do you by any chance have Erik Bedard’s email or contact info??? Thanks for the kind words, Tom. Unfortunately, I don’t have any contact info on Bedard. Tim Baines of the Ottawa Sun seems to be the only guy who can track Bedard down in the off-season. 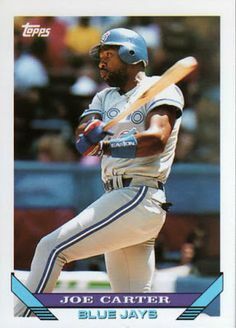 The four Canadian left-handed pitchers who played for the Blue Jays are Denis Boucher, Paul Spoljaric, Vince Horsman and Steve Sinclair. You are correct, Len. Thanks for participating. Can you drop me an e-mail at kevin.glew@sympatico.ca to confirm your mailing address? Thanks again. Very true, Devon. Thanks for the comment. PVR etc. ‘ Spacious and airy apartments, open on three sides, let you enjoy the wind with the sunshine.